Welcome to the Economic Development Division! It is our mission to create a business-friendly environment so that existing businesses will choose to remain and new businesses will locate to Montgomery. Our friendly, competent staff will work hard to help your company access needed data, identify potential sites, coordinate any Village approvals, connect you with other partner organizations, or just welcome you to the community! We invite you to open and grow your business in Montgomery. 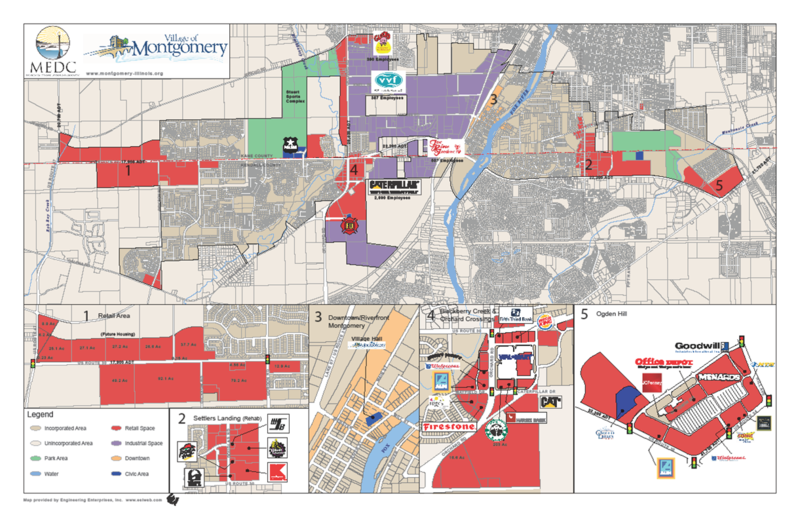 The Village works cooperatively with the Montgomery Economic Development Corporation to provide you the latest economic development information. Please check out our Business Page for more information or browse the latest news on our Business Broadcast Page.